Q – 1 What are your major grievances regarding foreign dramas? 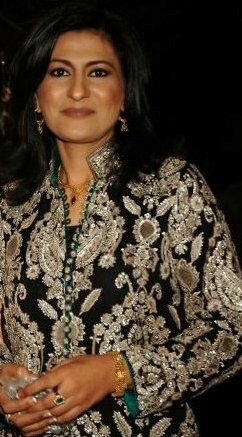 Saba Hamid: None, no grievances with the foreign drama, it’s our regulatory authority and local channels we have an issue with, when we have a booming drama industry why show foreign content and that too on the prime time, it doesn't happen in any other country which is successfully producing its own content. Q – 2 Is the war against Turkish dramas only? Q – 3 How many Turkish/ Indian drams are telecasting in Pakistani TV channels? Saba Hamid: I don't have the exact no. but this is where our concern has risen, this past week two channels have started to show Turkish and Indian plays on our prime time taking our running serials off air and backing out of a few future deals. Q – 4 How it is affecting local production industry? Saba Hamid: It's 2 and 2= 4 isn't it it will hurt badly if we don’t put a stop to it, for the time being, because our audience really appreciate our local drama and eventually will come back to it but the set back will take us years back, and most of our leading producers with big infrastructure will not survive this dip, as it is they are not paid on time so if further delays up in the payment they will wrap up. Q – 5 If these shows are popular then there must be some problem with the local content and production. Do you think so? Why Pakistani audience is not loyal to its own production? Saba Hamid: There is always room for betterment of course our drama is not the ultimate, but it's not worse as well, given the freedom, we can produce better than Indian and foreign soaps, our serials Are known for their diverse content, our audience is very loyal, we don't want to ban anything, be it Indian or any foreign language but their channels should be allowed, not shown on our primetime, we have right to protect our industry. Q – 6 Role of TV channels who are showing this channel? Saba Hamid: Channels at the moment are scared of competition, there is one international channel showing dubbed content, a Turkish soap did well on it and all the channels panicked, one of them stopped all Pakistani programming fired all production handling staff bought all reruns cheaper and started promoting them, now others barring one are doing it too. we want to regularize our law once and for all so that this doesn't happen in the future, so let's see. Q – 7 What about Govt authorities? Saba Hamid: Government authorities should always consult us before allowing any new rule, we need our representation there, they don't know nothing about our problems and needs. Q – 8 Does Pakistani production houses are making dramas and shows for foreign territories? If yes where? If no then why? Saba Hamid: No they are not, again channels are shortsighted and always try to cut producers budget, our content is very strong, but limited budget restricts the producer to raise its level to international level, still our drama is popular in India, never even tried any other market, channels get our products perpetual rights so they just sit on the archives. It’s just bad planning. Q – 9 Does Pakistani production houses are making dramas and shows for foreign territories? If yes where? If no then why? Saba Hamid: Channels are not suffering right now but will in the future, our production houses will suffer huge losses, we are a flourishing industry, that’s private sector, so if we don't have access to audience production companies will shut down, I am an actor so don't have the exact economic statistics, but I can find out if you want exact figure. Q - 10 What is your strategy to fight with the situation? Saba Hamid: First of all we have to create awareness to general public, as the common misconception is we are scared of competition and we are hiding behind morality, not at all, it’s an industry as well, it’s creative work also, to nurture it we need level playing field, equality in censor, reruns should run off primetime so on and so forth, we are holding talk shows, meeting law making authorities, putting across our demands to regularize law, will hold sit ins, press conferences lobbying to get all stakeholders at one platform,put as much pressure as we can to amend laws about dubbed content as it comes in direct competition with us so should be treated as local content so foreign language should be subtitled and their channels should come here our channels should not air them this should be with Indian programs as well.